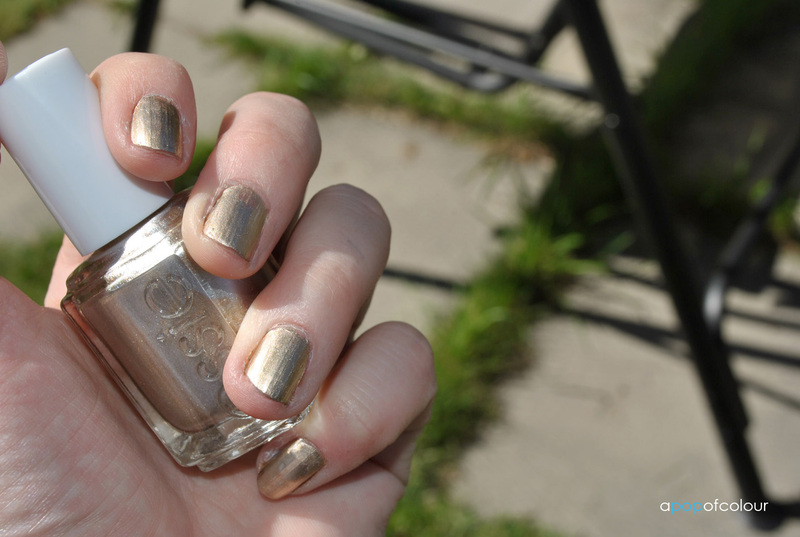 Moving onto some real metallics, Essie Good as Gold is the perfect tarnished gold shade to adorn your fingernails. I feel like gold is the most common metal shade out of all the colours in this collection, but this one is particular is more muted, so it’s not a bright gold, definitely more wearable. As with the rest of the collection, I used Seche Vite’s base coat with Poshe top coat. Two coats of Good As Gold left me with an opaque mani. 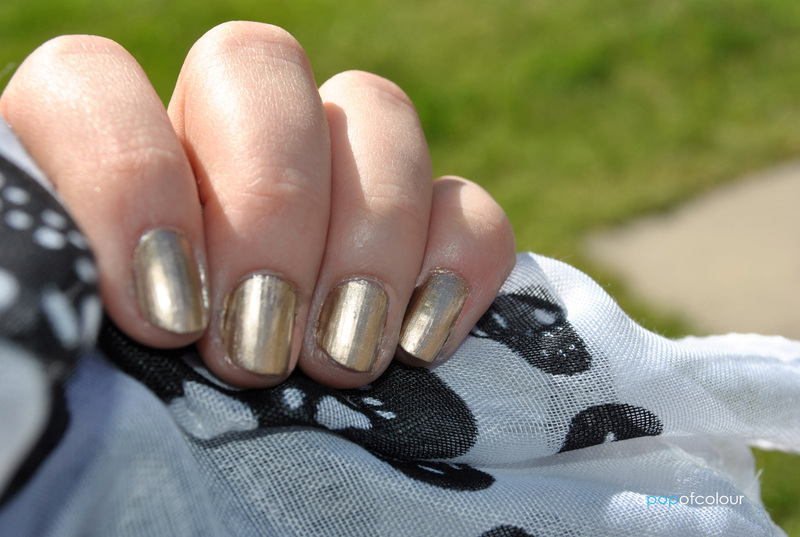 This shade is my third favourite from the collection, right behind Penny Talk and Nothing Else Metals. This would be pretty to wear to a formal event or even to the beach on a hot summer day. 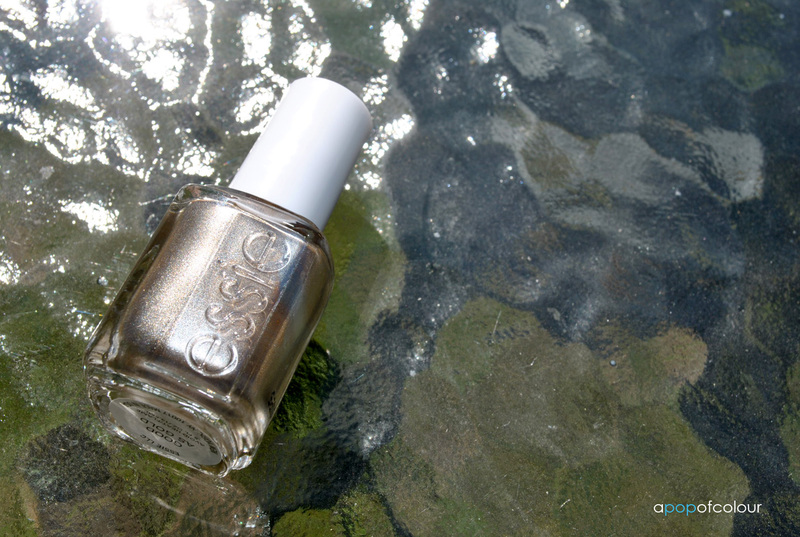 What are your thoughts on Essie’s Good as Gold? Leave me a comment below! Speaking of nails, don’t forget to enter my Sally Hansen Avril Lavigne Salon Effects giveaway!